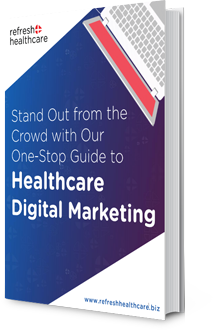 Healthcare marketing is becoming progressively competitive these days. 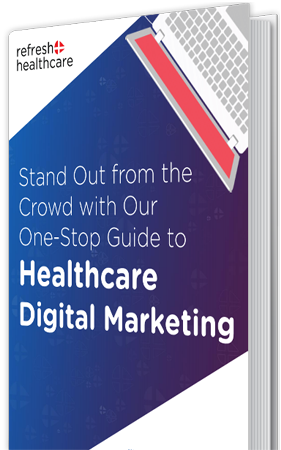 This was not the case almost a decade ago and healthcare marketing saw the lowest growth in inbound marketing. Today, however, it is all about making personal connections by engaging patients. In times of such competitive result-oriented healthcare, your website should offer reassurance, credibility and information to all visitors. These 5 pages below offer all that and more. The About Us page can have brief history about your clinic or institution. If it is a personal website of a physician, it can list qualifications, working experience success stories and more. To develop a great ‘About Us’ page, engage visitors and present your journey in the form of a gripping story. This will help build a personal connection with your patients. A blog is an integral part of your healthcare website. It allows you to put out your best work for the world to see. This page can include information about the latest advancements, miraculous treatments recently performed, and announcements about special camp days, discounted checkups and even local community events sponsored by the hospital or clinic. Amidst the usual content, you can promote your services and products. Keep your blog section updated with the relevant content. This is an optional page for up-and-coming websites but rather an important one for those associated with well-reputed healthcare institutions. This page offers institutions a great opportunity to incorporate outbound links on their site which adds to their credibility and ranking on search engines. When maintained well, this can become a great go-to source for both existing and new patients. This page can include case studies, research studies industry trends etc. Does More Pages Mean More Visibility? Unfortunately, there is no one right answer to that. When it comes to SEO, it is true that websites with more pages rank higher on search engines like Google, Yahoo and Bing. However, if the website has just been inaugurated, the goal will be to be creating awareness. This can be easily achieved without a cluttered website. In this regard, any website that features only about 3-5 pages will do too. Once the practice grows, so can the page count! Just be sure to add a blog section as it will determine the quality of services you offer when there isn’t anything else on the website. At Refresh Healthcare, we help our clients start off with their professional website in the best manner possible. From a wide range of themes, content ideas and website layout, we aim to become your most honest companion. With a proficient in-house pool of experts, digital marketing strategists, and web developers, we specialize in providing full-service solutions to all our customers. Get in touch with us today!